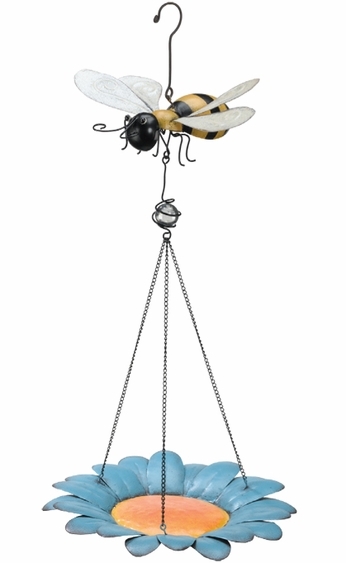 Bring charm to your garden with this adorable metal Bee Bird Feeder! Full of color and whimsy, comes complete with hook ready to hang. Intended for bird seed but can hold votive candles as well. Size: 9.75" wide, hangs 20 inches.